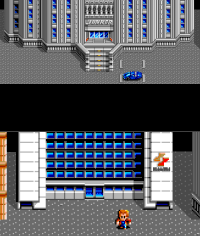 In Neo-Kobe city, next to Junker's headquarters, there is a building with the Konami logo on it. It turns out that this building is really exists as you can see on the picture! 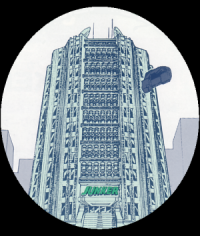 The SD-Snatcher manual only mentions the alias Big Cone as being the name of the office building where Junker has it's cityurban headquarters on one of the floors. 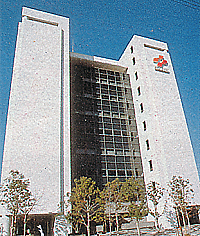 The building has 120 levels above the ground and 25 underground levels. It is 458 meters high. It is supported by the government and the other stories are used by private enterprises.